Available from specialty hobby outlets online and worldwide. 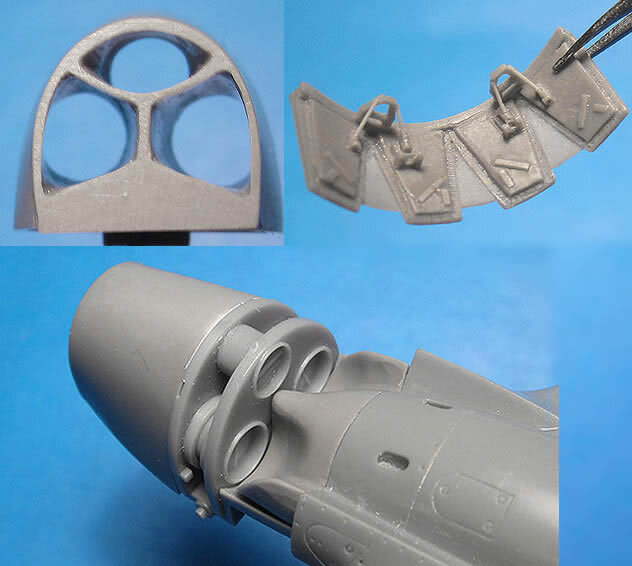 Superior detail compared to kit parts; perfectly cast with no blemishes. Small amount of scratch building required. 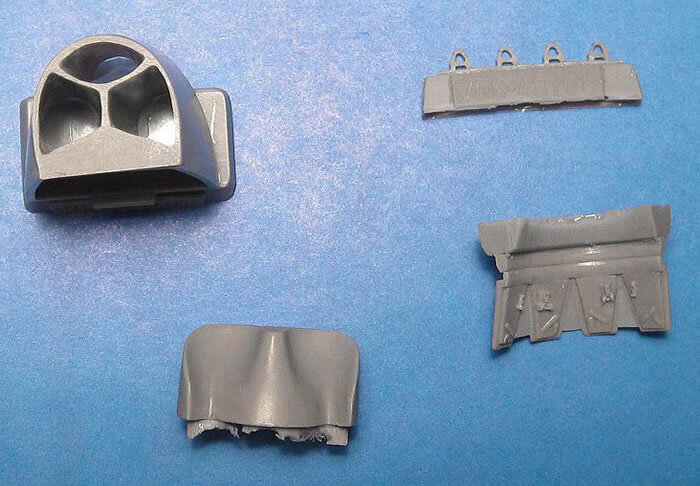 This little set will go a long way to improve the look of the Hasegawa lower nose inlets and cowl flaps. The small amount of scratch building is easily within the reach of most modelers, especially if you have more than one resin set under your belt. Let’s face it the P-40s characteristic chin opening is a very distinguishing feature. It has to be done right for any P-40 model to look right. Vector does this so much nicer than Hasegawa. This set is cast in four light grey resin pour blocks. These are all perfectly cast with no blemishes anywhere. The instructions are on a small sheet of paper and are easily understood. The parts include the radiator separator, which doesn’t require any filling. The infamous ‘Nun’s hat’ is represented in resin. The key is to incorporate the kit face plates with resin pieces. Then add the cowl flaps with their associated resin pieces and some scratch built wires to complete the look. Review Text Copyright © 2018 by Floyd S. Werner Jr.